Knowing that we had blown any possibility of a short drive, Nancy got herself up at 4am and fought her way through the labyrinth of the camper’s interior (full of stuff — including three bikes) to get everyone a change of clothes so we could all have showers and breakfast before leaving for The Grand Canyon. We made it out of the hotel shortly after 6am. Erin was still not improving at this point and the bounciness seemed to have returned to the SUV. At some point along the road, I noticed that the rear of the car seemed to be sitting much lower than the front. I tried the self-leveling system, but it seemed to have completely failed and shut itself off. We were now driving seemingly without any rear suspension at all whether or not we were towing the camper — which means hard and bouncy. Even so, the drive to Arizona was beautiful. 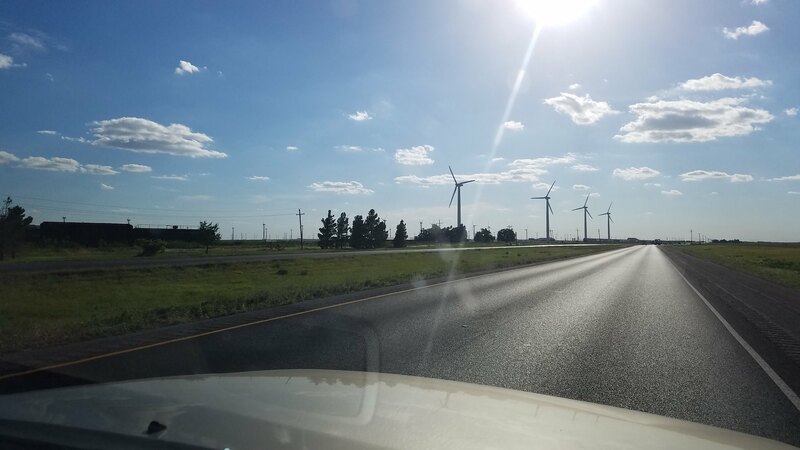 Between the Texas farmland and wind turbines to the many mesas and mountains, we were constantly amazed at the change in scenery. 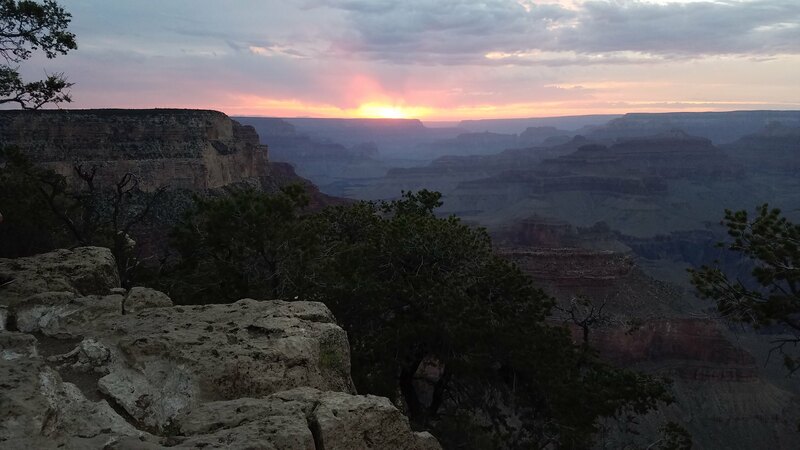 We made it to the Grand Canyon around 6pm. After setting up our campsite and having dinner, Sean insisted we go see the view. It was amazing! One of the best things about the dry wilderness of the Southwest is the view of the stars at night. 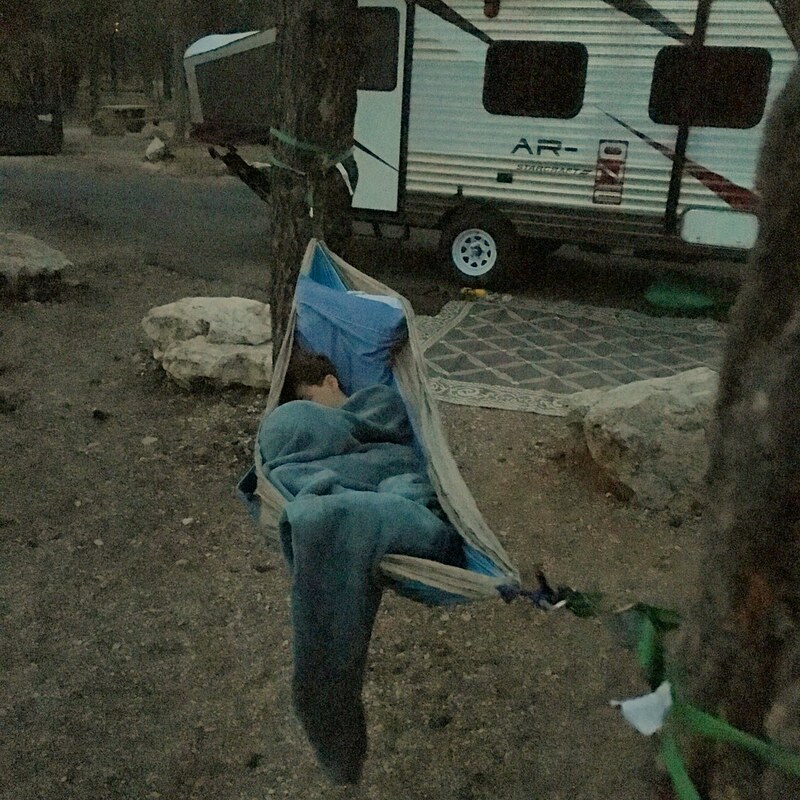 Sean had the best view of all as he slept in a hammock outside the camper.